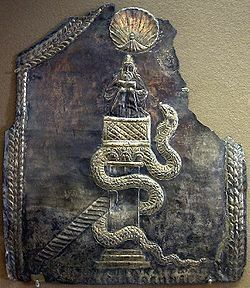 Simeon Stylites sat on a pole for more than 30 years. Everybody said he was a saint, but he shrugged. “After 10, 000 hours, you get very good at it,” he said. NUMBERS terrify some people. Others worship them as icons. Many of us just get tricked by them. A number con-game which has been around for a while is that it takes an author 10,000 hours to become highly proficient at the occupation. SOME novice writers have slit their wrists on discovering this statistic and have proven it to be true when printer’s ink fails to spurt from their veins. This 10,000 hour hypothesis get even sillier when you consider its advocates suggest it applies to all professions. If I ever have the need for surgery, I am going demand my cutter has 10,000 hours logged. I feel sorry for the millions of needlessly dead people who did not ask to see the surgeon’s log before an operation. Let’s have a closer look at the 10,000-hr rule. It has to be an average to have any credibility. Otherwise it takes every single professional in every single profession, exactly 10, 000 hours to achieve excellence. The rule’s originator obviously found a reliable measure of excellence in every one of the world’s professions. Your mind, of course, turns to the world’s oldest profession as you ponder what the benchmarks were for that one. You did not start thinking about prostitution? Okay forget I mentioned that; move on, shall we? This researcher, who should receive a dozen Nobel Prizes, then sampled each of the world’s professions to find the number of excellent practitioners. Somehow, our researcher, who makes Einstein look like Justin Bieber, also worked out a way of finding out how long it took each one to reach excellence. Some more averaging and hey presto, we have 10, 00 hours. You may say I am being pedantic but I dispute that. I maintain a statement that it takes a bloody long time to become a doyen of your craft is more scientific than 10, 000 hours. The 10,000-hr rule is hereby supplanted by the blood-long-time law. Quote me as its discoverer if you need to avoid admonition for plagiarism. Rules or laws are meant to guide us in science and in life. I am not sure what message we were meant to take from the obsolete 10,000-hr rule. Were we meant to give up because it is all too hard for too long or keep plugging away. Under Dowling’s Law, a writer’s mind in motion must continue in motion, though it will be slowed by the gravity of the realization no one is buying your books. From a less scientific and more intuitive perspective, do people without enough taste to buy your books really deserve your precious words, anyway. It might take a bloody long time but tasteful people, in numbers, will discover your genius and recognize you as an excellent writer. Then you can stop counting up to 10,000.
you still will not be as good as MCC. Labels: 000 hr-rule, 10, books, how to bw a better writer, humor.